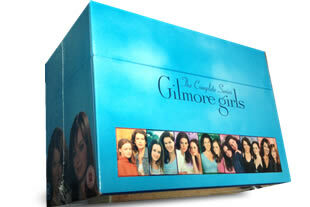 Guaranteed Next Working Day UK delivery for a single dvd boxset ordered before 12pm Mon-Fri is £5.99 PER BOXSET. Next working day (Mon-Fri). If you require Saturday Delivery please call us as this is available for extra. (After 12 noon/weekend orders will be guaranteed to dispatch next working day for delivery the day after). For more than one dvd set please select click add to cart to add the required ammount. 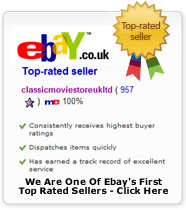 This service is £5.99 per ClassicMovieStore product. PLEASE REMEMBER THE PRODUCTS YOU WANT MUST DISPLAY THE FOLLOWING LOGO IN THEIR LISTING. If they do not, or some items in your order do not we will refund you this service and all items will be sent together when ready. Because we know how important your package is, we guarantee we’ll deliver your Special Delivery™ Next Day item before 1.00pm the next working day. Please note larger orders and larger boxsets may come buy 24 hour courier which will still be next day but may not be before 1pm. The delivery address is in an area of the UK where we do not guarantee next day delivery.